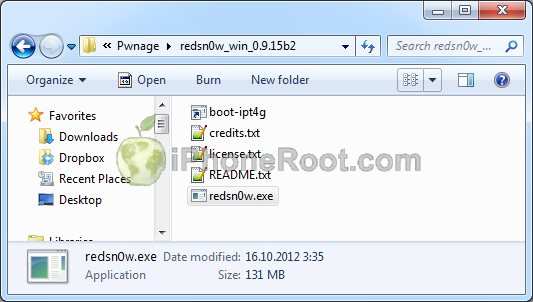 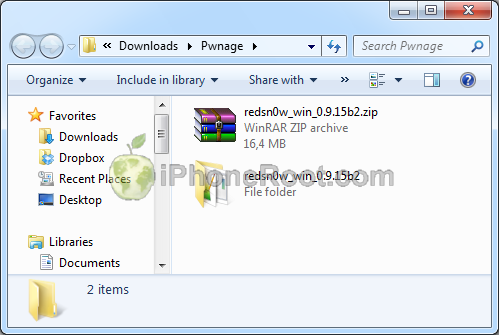 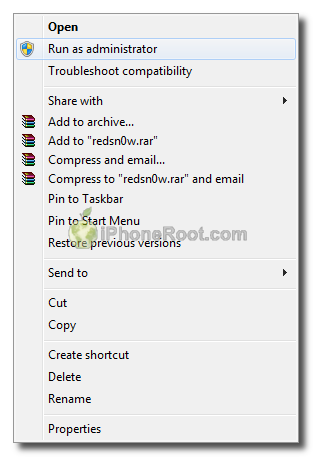 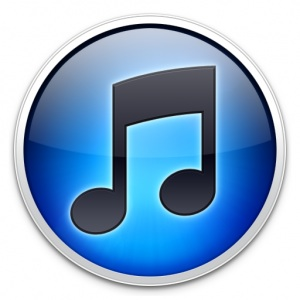 Download the latest version RedSn0w 0.9.15 from here. 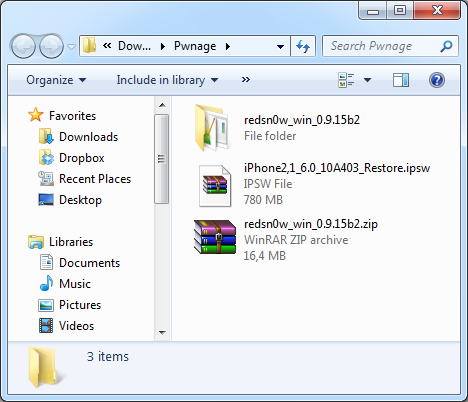 Save it in the Pwnage folder. 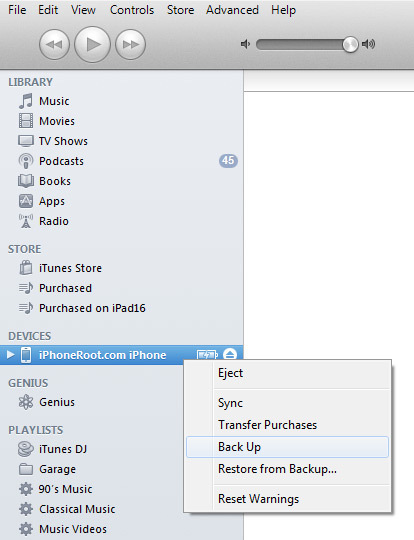 If you are already on iOS 6 you can now skip to step three. 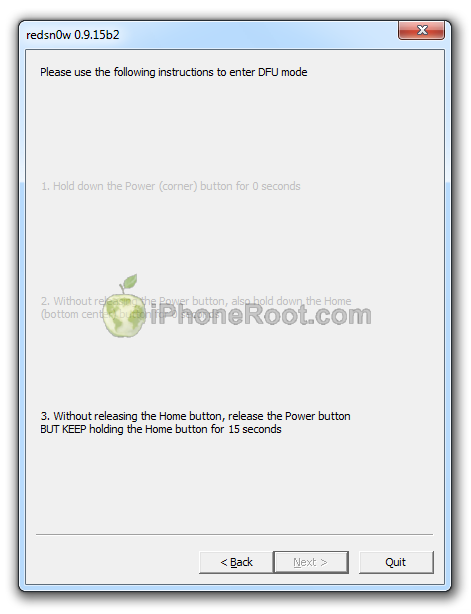 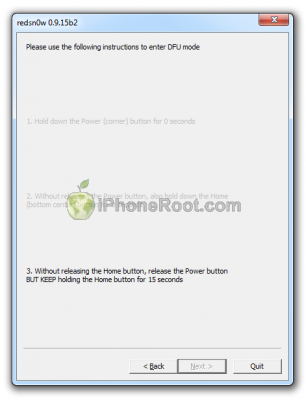 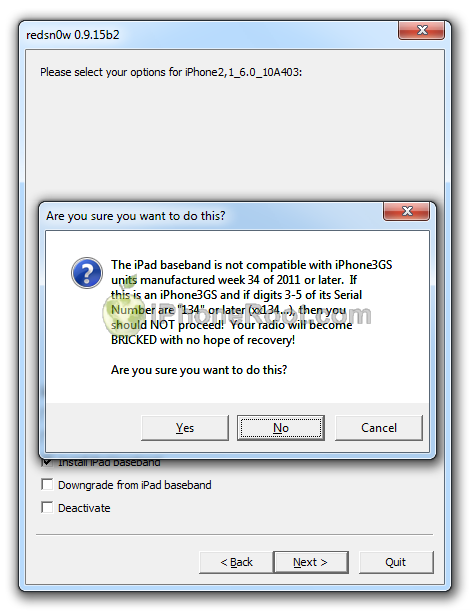 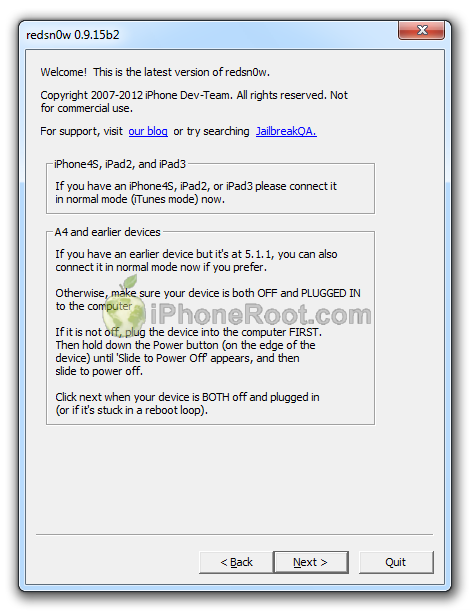 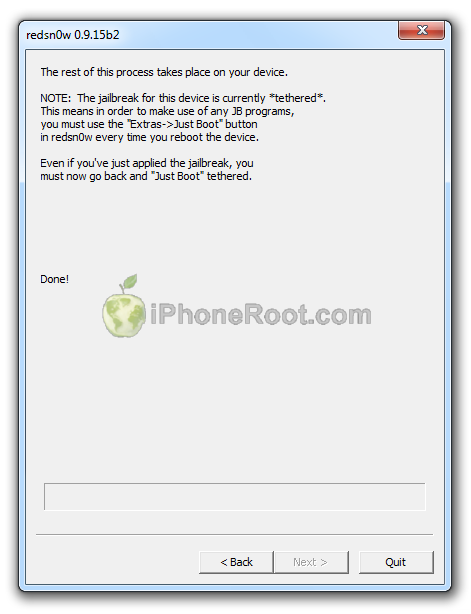 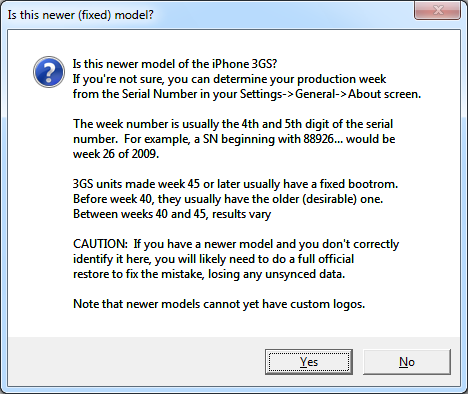 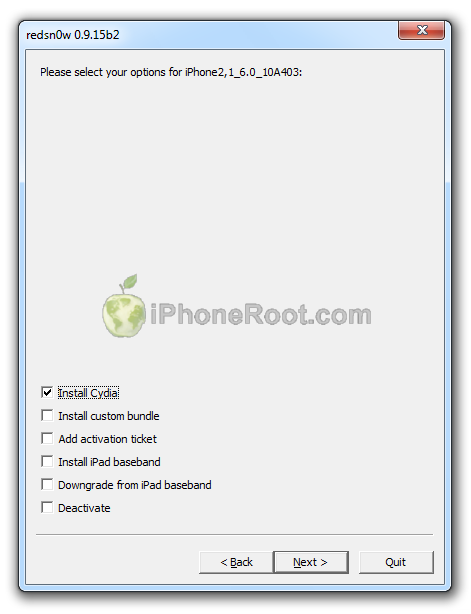 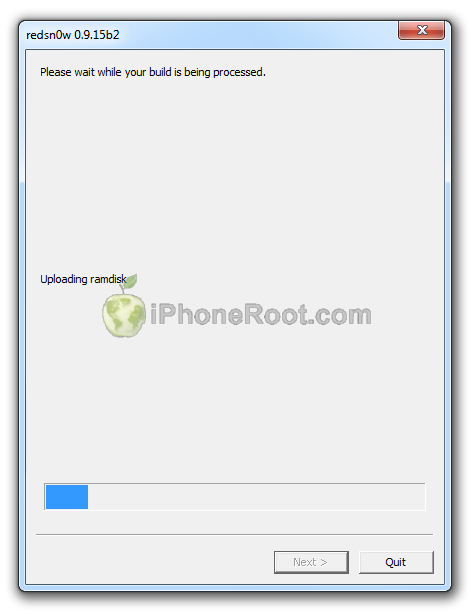 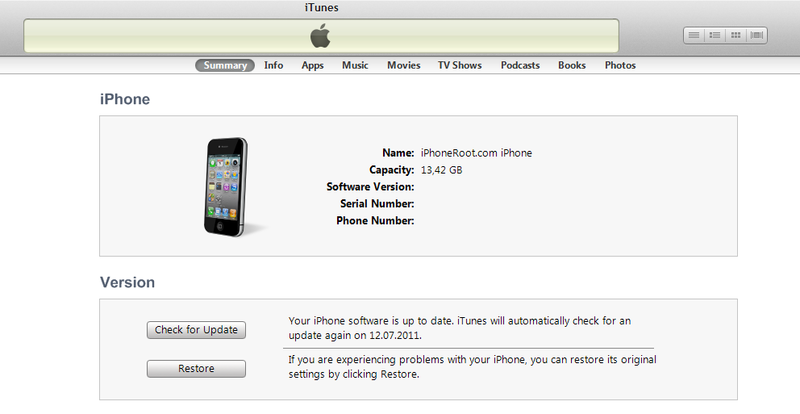 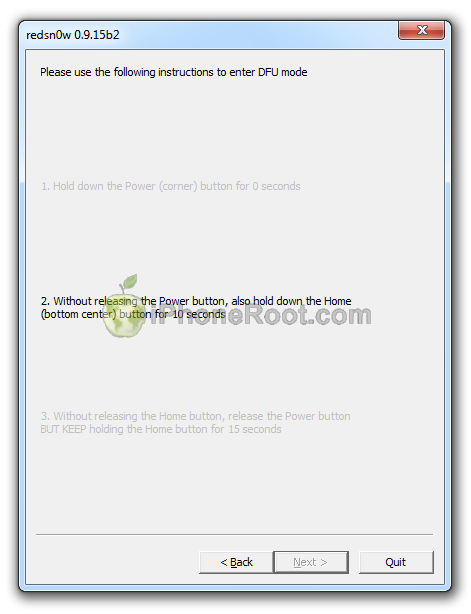 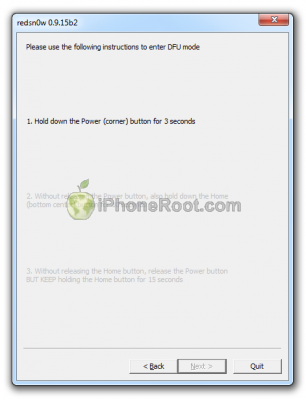 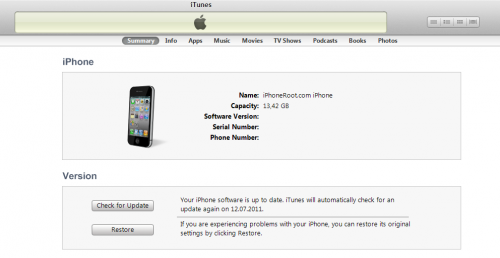 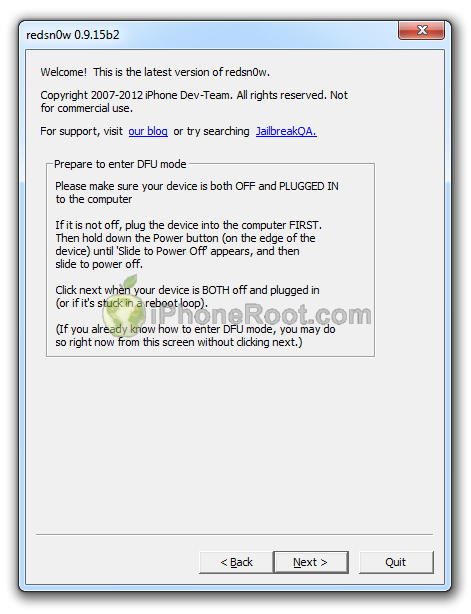 iPhone will reboot and redsn0w will identify the firmware version.